How indistinguishable is blue from green really? 青 ao seems to be used very much interchangeably for both blue and green. Why is that so, and how does 緑 midori play into this? Beside some of the historical examples mentioned by Derek, there is also an inherent nuance that separates 青 from 'blue', as it is commonly understood in Western culture (and similarly, albeit less strongly, for 緑 and 'green'). 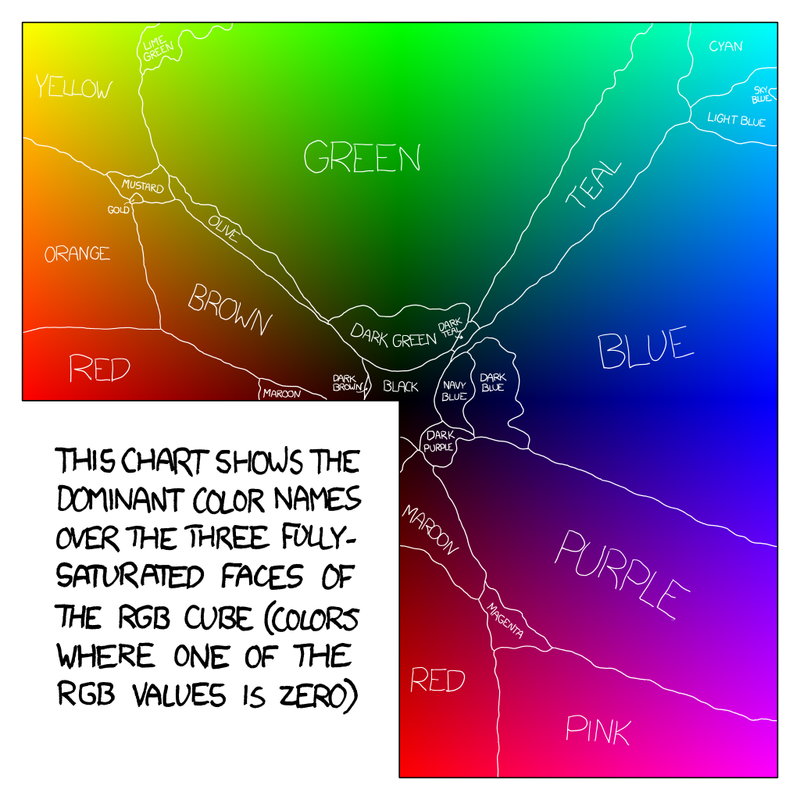 This is not unique to Japanese-English and probably applicable to any pairs of sufficiently separate cultures: colours are, for a large part, an artificial construct and there is only limited reasons two people should pick the same arbitrary frontier along the green-blue continuum (or red-orange, or yellow-green etc). I recommend digging in Google Scholar for more on that, but it's worth mentioning that there is much debate on what the causes and extent of these differences between cultures are. Anyway, back to 青/緑: leaving aside the fact that the past 100 years of intermingling with Western culture have no doubt influenced the native Japanese perception of these colours, there is still a real difference between the range of what a Japanese will call 青い and a Westerner call 'blue' (talking about pure colours here, not objects' traditional colours, which might be tied to historical reasons). 'Blue' for 青 and 'green' for 緑 are just approximations (as are probably most other native colour translations). As a result, when talking about something on the far left (say, the sky) or the far right (say, fresh verdure), both English and Japanese words agree quite well. If you pick things that are in that middle area where the definitions do not match, you get these quizzical looks and people arguing "what do you mean green? it's obviously blue!" etc. Apparently when traffic signals came along, 緑信号【みどりしんごう】 was the official name at first, but it was eventually overtaken by 青信号【あおしんごう】 in common use and this latter name became the official term. This partially also has to do with the fact that in old Japanese they only used four colours: あか・あお・しろ・くろ. Obviously, with this limitation, あお came to represent a wide range of different cool shades. Then once more "colours started to be used", a lot of things retained their original descriptions as あお. Edit: Here is that handout I have from my Japanese teacher which I describe below in the comment. It is from a book she has, but I don't have the reference for it. Not the answer you're looking for? Browse other questions tagged word-choice usage vocabulary colours or ask your own question. Should the color of Japanese stoplights really translate to “red / yellow / blue”? Why did オレンジ replace 橙【だいだい】? How is 発行 different from 刊行? Why does きいろ mean yellow rather than green? Does 好きな really mean “favorite”? Is there a word that describes greenish-blue colours (of any shade)?